Wear the colors of the ocean in style with our mermaid-scale Aussie Green crop top bubbling with green and blue hues! 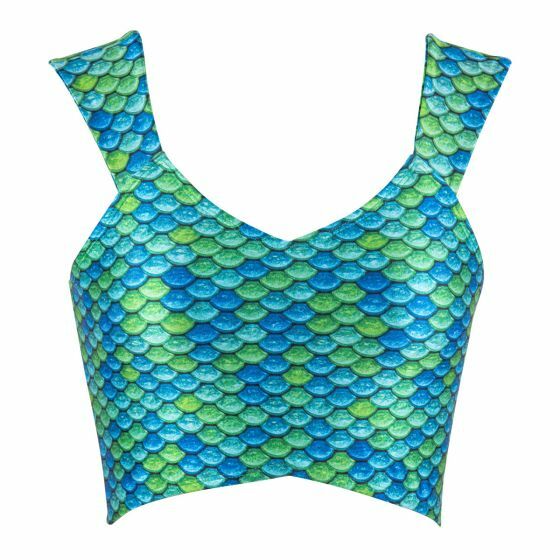 If you’re a trendsetter, you’ll love Fin Fun’s exclusive crop top swimwear in Aussie Green! 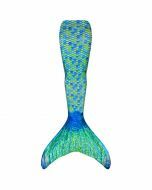 This classic Mermaidens pattern coordinates with many Fin Fun products, from our top-selling mermaid tail to our swimsuits and leggings of the same pattern. If you love this popular color palette, there’s plenty of looks to be had when you mix and match our Aussie Green patterned products. 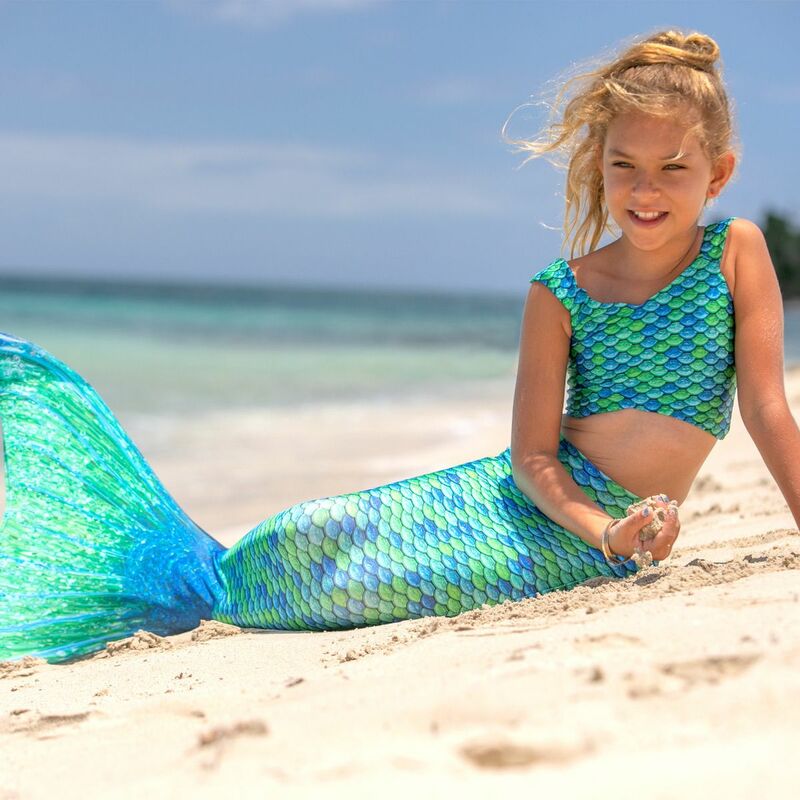 Fin Fun’s premium swimwear for kids and adults make the best mermaid tail swimsuits when you’re sporting a fin! Arrive at the pool in a top unlike any other with our crop top featuring wide shoulder straps and vertical boning sewn at the sides for a pleasing shape. Our youth L-XL and sizes for women include adjustable straps and molded cup liners. Keep your swimsuit top in place with the double closure on the backside that hooks at the top and ties at the bottom. Youth sizes XS-M are fully lined for the ultimate comfort and stay in place with a stretchy top band and bottom tie in the back.